Country Health SA hospitals will once again be open to the public for people to stay cool during South Australia’s ongoing very hot weather. Helen Chalmers, Chief Operating Officer of Country Health SA, said people who are finding it difficult to stay cool in their homes can report to the reception of their local hospital and provision will be made for a cool place to stay during the day. “Anybody feeling unwell from the heat should continue to present to their GP or hospital in the normal manner,” Helen Chalmers said. 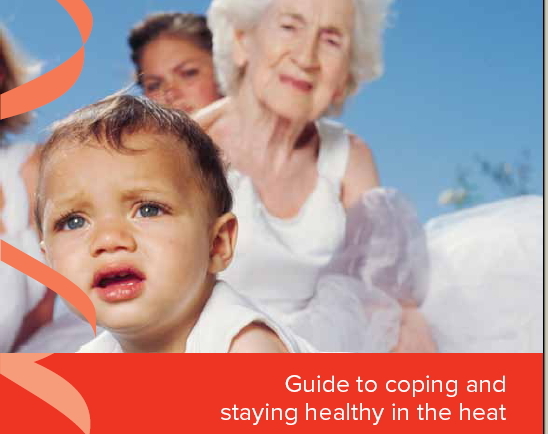 For more information about preventing heat-related illness or to download copies of the Extreme Heat Guide SA Health (PDF), visit http://www.sahealth.sa.gov.au.